Last week while we were having breakfast in our sun room, we had a very colourful visitor. 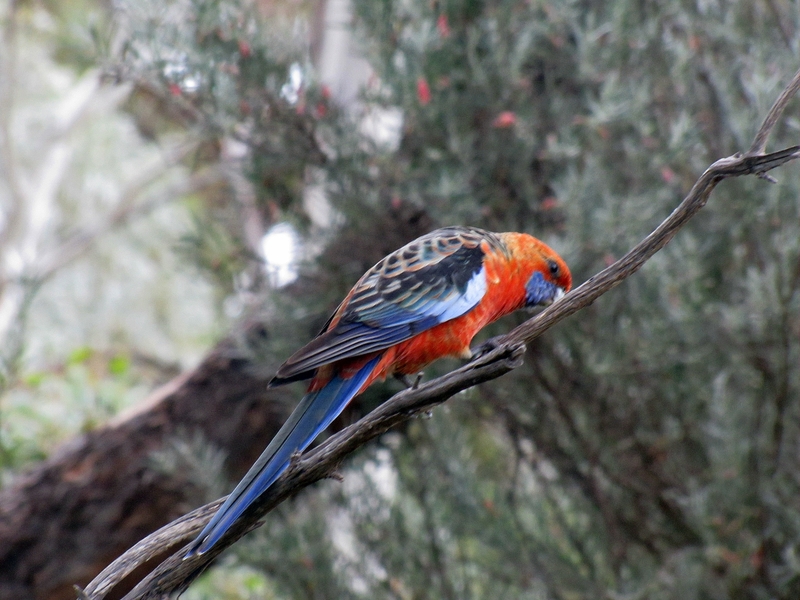 This Adelaide Rosella, a sub-species of the more common Crimson Rosella, came to check out our bird bath. Sadly, I had neglected to top it up over the last week or so and we’d had some windy and sunny days and it was dry. 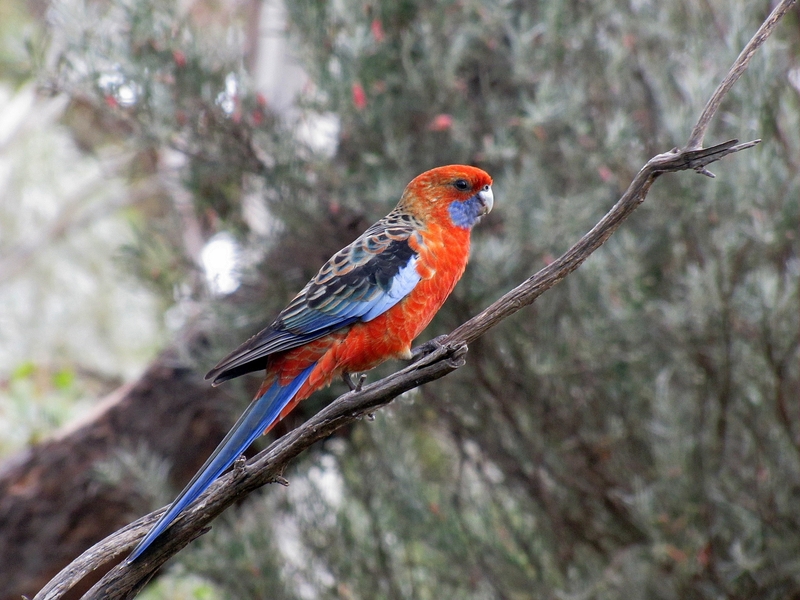 The rosella stayed for only a few moments before flying off. Adelaide Rosellas are common in the Mt Lofty Ranges some 50km to the west, and through the mid-north of South Australia. Here where I live in Murray Bridge 80km west of Adelaide, they are widespread but not common. The red on the feathers varies from almost a deep crimson, as in the Crimson Rosella, through to a very washed out orange. Further upstream along the River Murray, another sub-species, the Yellow Rosella is quite common.